Your office or storefront entrance speaks volumes about your company to potential customers. Glass is an excellent way to revitalize your brand and create a more open and inviting experience for both your customers and employees. If you're a business owner looking for an elegant yet modern office entrance, a retailer in need of stunning, vibrant storefront glass, or a commercial property owner or manager wanting to increase the value and appeal of your space, Roadrunner Glass Co. has the experience, creativity and attention to detail to fulfill your needs. 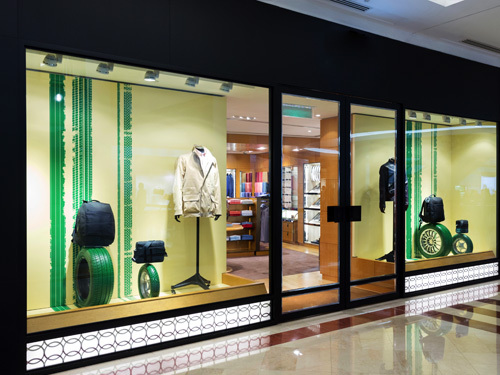 With over 40 years of commercial glass design and installation experience, we can help you make the perfect first impression that will elevate your business above the competition. We take pride in a job well done, guaranteeing precision down to the 1/16 of an inch. This level of craftsmanship is made possible by our talented local team of expert glaziers who provide design, fabrication and installation to the highest standards of quality and performance possible. To discuss your glass project needs with one of our expert glaziers, call 602-269-2543 or send us a message using the form below. Roadrunner Glass Co. is fully licensed, bonded and insured. © 2009 - 2019 Roadrunner Glass Co., All rights reserved.